One of our two Silver Medal Resorts as awarded by GOLF Magazine, Pine Needles offers character, warmth and comfort. Built in the 1950's and nestled among towering longleaf pines, our chalet style lodges provide exceptional comfort with recently renovated rooms and all of the luxuries of home. Balconies and terraces allow you to gaze upon the championship course, a Donald Ross gem that was recently ranked #4 in North Carolina. In 2004, Pine Needles underwent an important restoration project. Under the watchful eye of Ross aficionado, John Fought, the greens were rebuilt, bunkers were dug out and fresh sand was installed. Contours and dimensions of greens were restored to their original forms as shown by a series of vintage aerial photos of the course, returning the course to its original glory. The Mid Pines course remains exactly as Donald Ross numbered and routed the course in 1921. Impeccably manicured to modern standards, Mid Pines is a classic gem, a rarity among Ross’s masterpieces because it is exactly as he crafted it more than 88 years ago. Even so, Mid Pines has played host to many national competitions including the 2002 USGA Senior Women's Amateur Championship. Many people have characterized the course as "pure Donald Ross" because of how it fits the land where it was built. It has few forced carries, artificial or contrived holes. It's been said that Mid Pines was never conceived as a daunting task to the finest players competing under championship conditions...Mid Pines was intended simply as a fun course with adequate challenge for members and guests of a private club and resort. Nestled in the fragrant pine forest of southeastern North Carolina, Pine Needles and Mid Pines resorts are conveniently located in the heart of golf country. The resorts are located across from each other on Midland Road, just one mile from the quaint historic downtown Southern Pines and four miles from the Village of Pinehurst. Many guests enjoy the rustic chalet style lodges of Pine Needles, its relaxed atmosphere, with all the comforts of home. The Mid Pines Inn is a stately Georgian-style Inn. Mid Pines welcomes its guests with the hospitality and charm of the Old South, blending modern amenities with eight decades of tradition. Each has its own distinct personality, yet both offer the same friendly staff, impeccable service and all the modern amenities that you, your family or your business associates will appreciate. For nearly a century, golfers have reveled in the serene ambiance of Pine Needles and Mid Pines. Two 18-hole golf courses designed by Donald Ross harken back to the early days of golf in America. Comfortable rooms, fine dining, versatile meeting space and staff dedicated to exceeding guests' expectations unite for a memorable experience. Whether for a golf outing, banquet or corporate retreat, we invite you to Pine Needles and Mid Pines to experience a tradition like no other. We've preserved a tradition that honors a slower pace, the restorative power of a nice bottle of wine, a good cigar on the porch, or a stroll among the pines. Established in 1927, Pine Needles Lodge & Golf Club welcomes you to experience a casual resort setting featuring 74 recently renovated sleeping rooms, a magnificent golf course, and a variety of banquet facilities. We've also added an outdoor in-ground swimming pool, as well as a state-of-the-art fitness center. Accommodations are designed in chalet style lodges, within walking distance to the championship golf course and clubhouse. 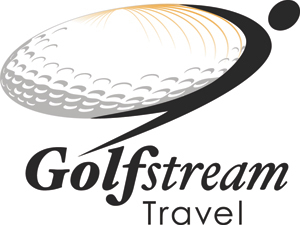 On property amenities include wireless internet, audio-visual services, lounge, restaurant, 18 holes of golf, extensive practice facilities, grass tennis courts, heated pool, game room, and fitness center. Covered walkways connect the lodge, clubhouse, dining room, lounge and golf shop. We also provide valet parking, valet laundry and the allowance of small pets in designated rooms. Just remember, we have one hard and fast rule and we enforce it ruthlessly, relax and make yourself at home. 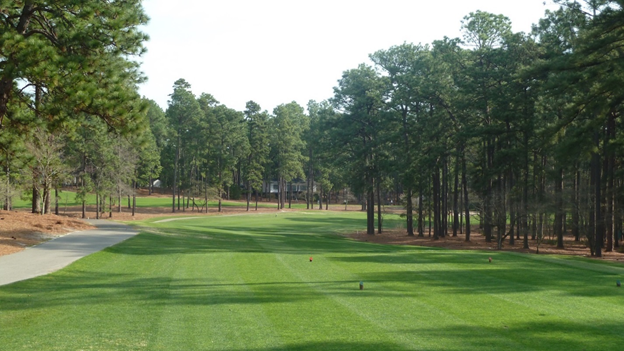 An alternative for groups, Pine Needles also offers 3 private lodges, located along the 18th fairway. The 19th Hole and Fairway Lodge sleep 8 people, double occupancy, 4 baths, and a common hospitality area fully equipped with icemaker, refrigerator, microwave and coffee maker. The Ross Lodge offers 8 bedrooms, 8 baths, 2 hospitality areas and kitchenette. Groups must reserve the entire lodge for either the Fairway Lodge and/or the 19th Hole, and at least one floor (4 bedrooms) in the Ross Lodge. Built in 1921, our stately Georgian-style Inn is renowned for true Southern hospitality and distinction. The Inn wears her age with aplomb. It's as though you expect to see Sam Snead holding forth at the bar, or Julius Boros showing his putting stroke to an admirer in the lobby. Many of our 103, beautifully appointed rooms feature original antiques, with all of the comforts of home. In addition to the charming main hotel, we offer villas with kitchenettes (microwave and fridge only) overlooking the 4th green and 10th fairway. History lives here, to be sure, but this is the 21st Century. You'll find all the comforts a modern golfer, business traveler and families require; including wireless internet access, an outdoor pool (located at Pine Needles), game room with pool table, foosball and ping pong, four lighted tennis courts, a well-stocked lounge and fine dining. Plus, open access to the fitness center, with the latest state of the art equipment. Our spacious two room suites offer a King size bed and bath with a charming adjacent sitting room overlooking our garden front entrance. Warmly appointed rooms with either a King bed or two doubles, all with views of the famous 18th hole of the Mid Pines golf course. Pine Needles Lodge & Golf Club features a golf course and a fitness center. The hotel offers a restaurant. A bar/lounge is on site where guests can unwind with a drink. This 3.5-star property offers access to a business center. This Southern Pines hotel also offers tour/ticket assistance, a garden, and express check-out. Onsite self parking and valet parking are complimentary. 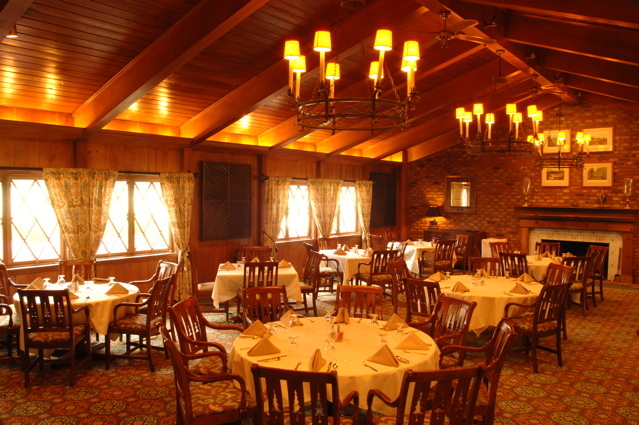 The Pine Needles dining room is open daily offering all meals to both resort guests, golfers, and local diners. The dinner menu varies nightly depending on what our Chef finds fresh and in season. The Crest Courtyard is Pine Needles newest dining addition. Enjoy the luxury of our dining room menu outside in the courtyard over looking our large stone fireplace. The serene ambiance and exceptional comfort will make your outdoor dining experience the most pleasurable. Whether you are coming for a drink at the outside bar or dining with friends and family, the Crest Courtyard will fill your every need. Dining at Mid Pines is an enjoyable experience in our elegant dining room featuring signature menus from our Chef and his culinary team. During the breakfast and lunch hours, enjoy bountiful buffets on the Terrace overlooking the 18th green. Our dinner menu varies nightly. Pop's Lounge is a great setting for lunch after a round, a mid-day snack or drinks with friends after work. During the spring or summer, take your drink out on to the terrace under the umbrellas overlooking the iconic 18th hole of the Mid Pines course. For nearly a century, golfers have reveled in the serene ambiance of Pine Needles and Mid Pines Resorts. Two 18-hole Donald Ross designed resort golf courses have earned us our place among the country's best golf resorts – and one to which our guests and USGA Championships return to time and again. We are located just one mile from Southern Pines' historic downtown and four miles from the Village of Pinehurst. Being 60 miles southwest of Raleigh just 75 miles east of Charlotte, NC we are easily accessible by car. Come experience a tradition like no other at Pine Needles Lodge and Mid Pines Inn.